Lyle Lovett has such an interesting face so I thought he would be the perfect subject for a recent workshop where I taught advanced needle felting techniques for working from photographs. It was the first time I've shared my techniques for bringing wool to life as an actual likeness. And I must mention that I'm a huge fan of Lyle Lovett! 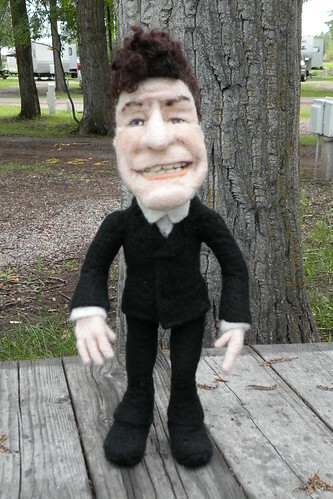 I'm on a new mission to introduce Li'l Lyle to the real Lyle Lovett. I have a feeling he would get a big kick out of him and I would love nothing more than to get a picture of the two of them together.